Trending Now Thursday ~ Wood & Lace! 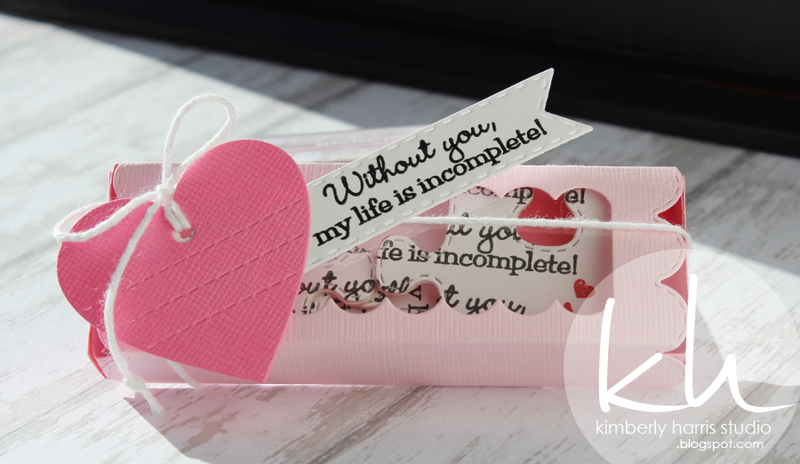 MCT 39th Edition Anniversary Release Blog Hop~! Favorite Stamp/Die of the Month! 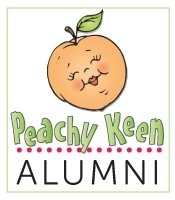 GOOD MORNING & welcome to our 3rd day of our 4th Anniversary Celebration of Sneaky Peeks!!! Today we are showcasing 2 new sets! They are "The Last Piece to Our Family" includes a total of 22 stamps & the "Stitched Puzzle Piece Dies" include a total of 8 dies. Aren't these SOOO MUCH FUN??? 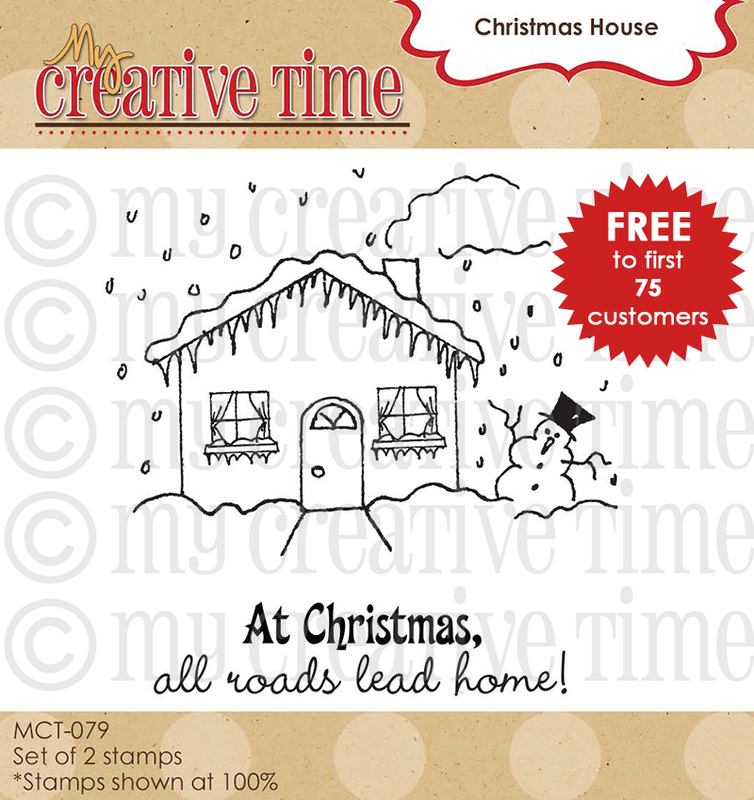 Here is a another card & I just LOVE how both of them came out! BOTH were ALSO SUPER FUN & QUICK & EASY to make! We will be giving away the sets we are showcasing each day to ONE lucky winner! For example, the set we are showcasing on Wednesday, I will announce the winner of that on Thursday & the sets we are showcasing on Thursday, I will announce that winner on Friday on her blog! ALL you have to do is leave a comment on each of our blogs! You are NOT required to comment on EVERY SINGLE blog, but the more you comment on, the more chances you have for winning! VERY IMPORTANT, PLEASE leave a way for us to contact you w/your comment just in case "YOU" are the lucky winner! IN ADDITION to our Sneak Peek Giveaways…..
Cindy, your non-shaker shaker card is nothing shy of stellar! Absolutely gorgeous!!! Emma you are so right everyone is going to love the puzzle heart die. 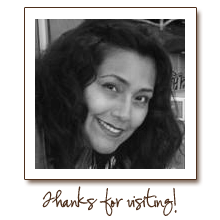 Cant wait until Friday.Have a Blessed day, DIANA L.
Wow your missing you card is super cute!! I've gotta have these dies and stamps!! Oh how fun are these puzzle piece dies???? Woohoo Emma you really have made my List longer! lol Really beautiful cards and projects again from the DT! The puzzle dies are just too adorable! These puzzle dies are cute. Yet again another masterpiece! You puzzle me! Your brain is amazing and I love your stitched lines! Good Morning Miss Emma.....OMG what a Sneak Peek I love it.....WOW its Funtabulous I love your card they both are so cute and love your clever and creative ideas with your puzzle piece dies and the stamps.....YIIKES today sure kick started my birthday with a big WOOT WOOT Loved your video.....this has been one exciting birthday week for me.....celebrating your 4th anniversary and your 39th release...what a celebratory week it is. YOU so ROCK!! GORGEOUS job Emma with both of your sneaks, <3 them!!!! all the sneaks are FANTASTIC!!!!! !Have a great day my friend!!! Once again your design team has done an amazing job!!! Love the puzzle!!!! What a fun new set-love the cards! Oh, these are just great cards and love the puzzle theme. I love these cards. The puzzle pieces are so useful so many kinds of cards. I also love the colors you used. So charming. I love it! Thanks for the chance to win! Love the puzzle dies!! Such a great release! Emma so far this is my favorite .......cant wait to see what else you have in store for us. And your cards are just adorable!! I love your cards, Emma! Just adorable! These puzzle pieces are so much fun!!! Cute cards, I think these sentiments are just perfect. 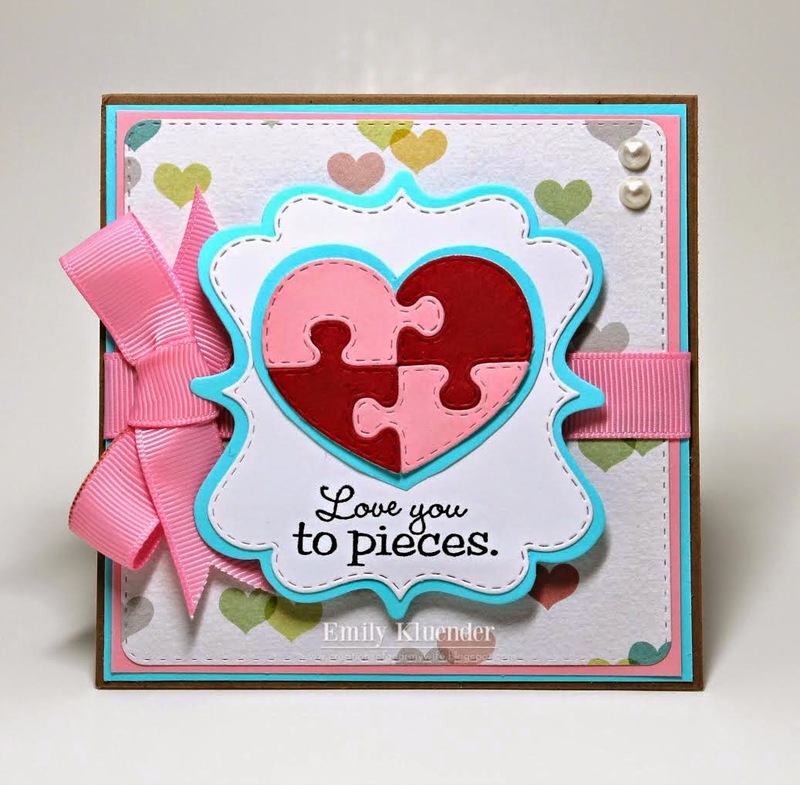 I am lovin' the stitched puzzle piece dies....wow, so many fun idea's! Your cards are fabulous Emma! 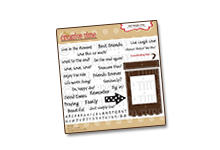 The sentiments are so fun and just the perfect sayings! Wow....GREAT release! 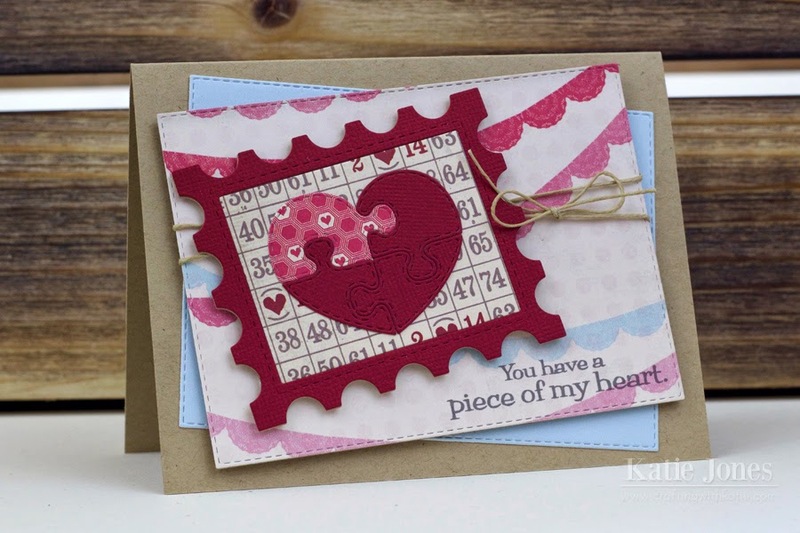 Emma, love the puzzle pieces dies and the stamps that I've seen from this sneak peek! Your cards are wonderful, too! Gorgeous Emma...love your puzzle piece dies!!! Oh your cards are soooo CUTE!!! Thanks for sharing. I love all those cute puzzle pieces and the sentiments. Thanks for the chance to win some yummy MCT goodies. Good Morning, Emma...I'm super-duper ecstatic to win your Day 2 release! THANK YOU!! Your release today: another awesome set to delight in! Love those puzzle pieces immensely! Again, your creativity is just soooo amazing! Love those puzzle pieces. Can't wait to get my hands on them! I just love these die sets... I can think of so many occasions these can be used for! Looking forward to your release. Emma, these puzzle pieces and stamps are just awesome!! I love your cards, just so cute. Great job on this release! Awesome! Love those puzzle dies! Your cards are so cute! great idea with the puzzle pieces. Loving the puzzle pieces! So many possibilities! 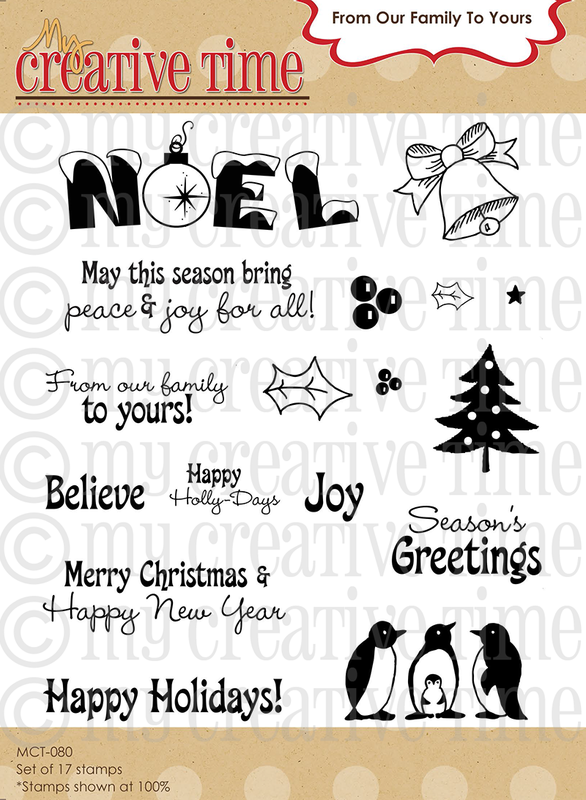 Your cards are adorbs and I am off to see more from the DT, but from the looks of it...fab work already! Todays sneaks definitely go to the top of my wish list!!!! I must have them both! Both of your cards are beyond cute!!! Loving the new release and your cards are completely fantastic. I can't wait to see what tomorrow will bring. Another fabulous day of sneaks! Gorgeous cards Emma! 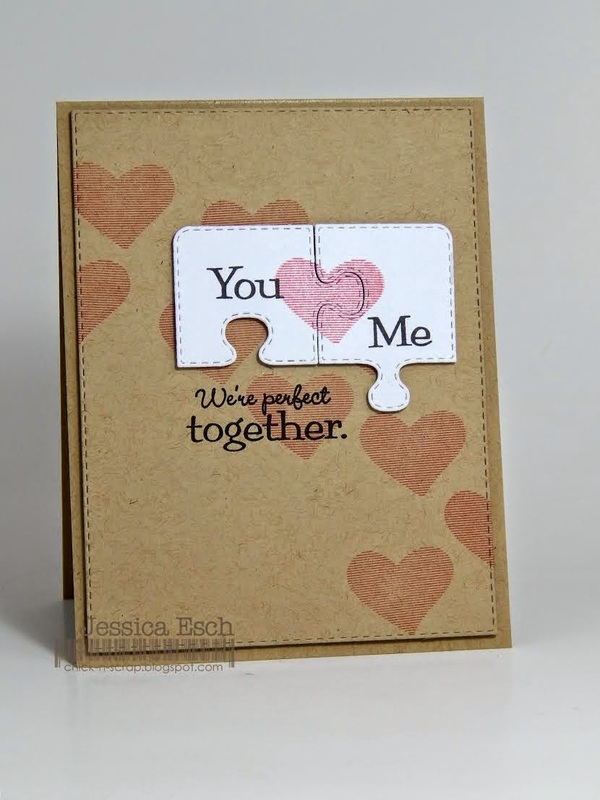 I just love the puzzle pieces, too CUTE! Thank you for such a FUN release! Aren't these just too cute. 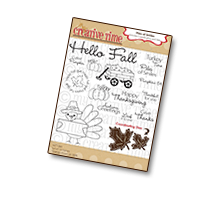 I'm thinking how excited my grandkids would be to get a card with a puzzle to put together and finding a message on the puzzle after they put the pieces together. 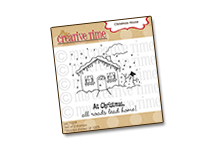 Very cute and creative cards with these new dies and stamps. 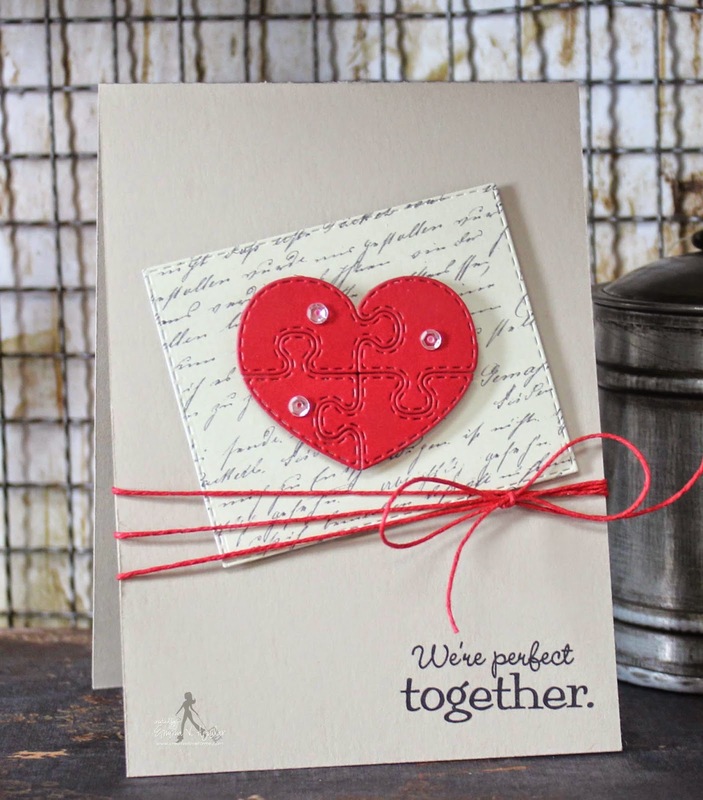 Miss Nikki you're card is simply gorgeous, stunning work! This set is a must have, Emma you did it again, love your work so inspiring... Thanks for always being so attentive and sweet! 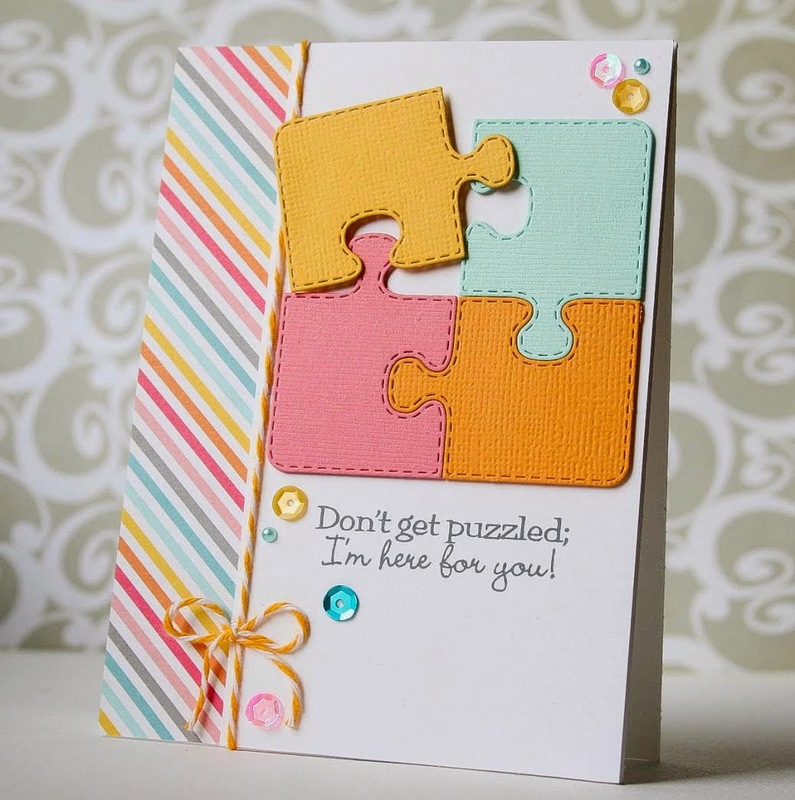 I so love the new stitched puzzle pieces die Emma! As alway your cards are just amazing!! You have done it again! I already love the puzzle pieces dies! Off to visit the DT now. Puzzles how fun is that? I love these 2 sets. The DT made so many creative projects. Very cute idea making puzzle pieces. I see so many possibilities with them. Those puzzle dies are super cute ! Love both of your cards Emma! I love love love the puzzles! 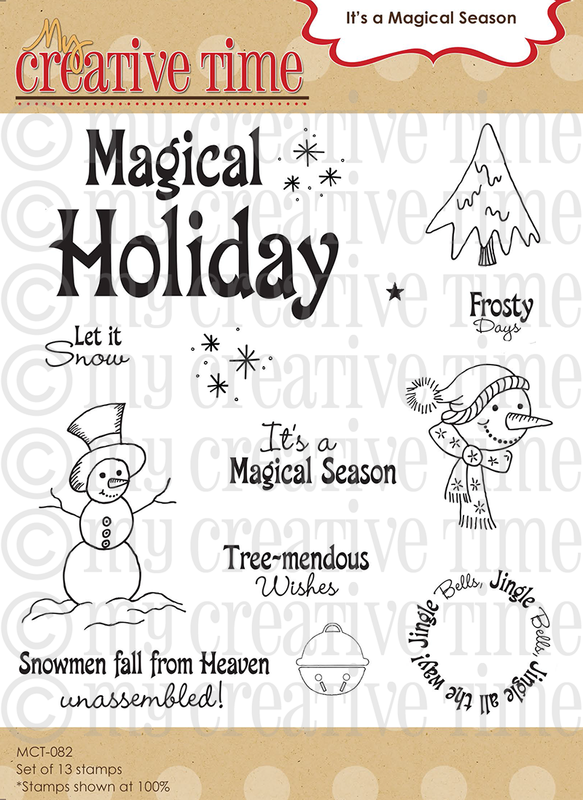 These can be used year round! 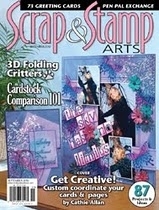 I love this new puzzles dies, are amazing, I love them! 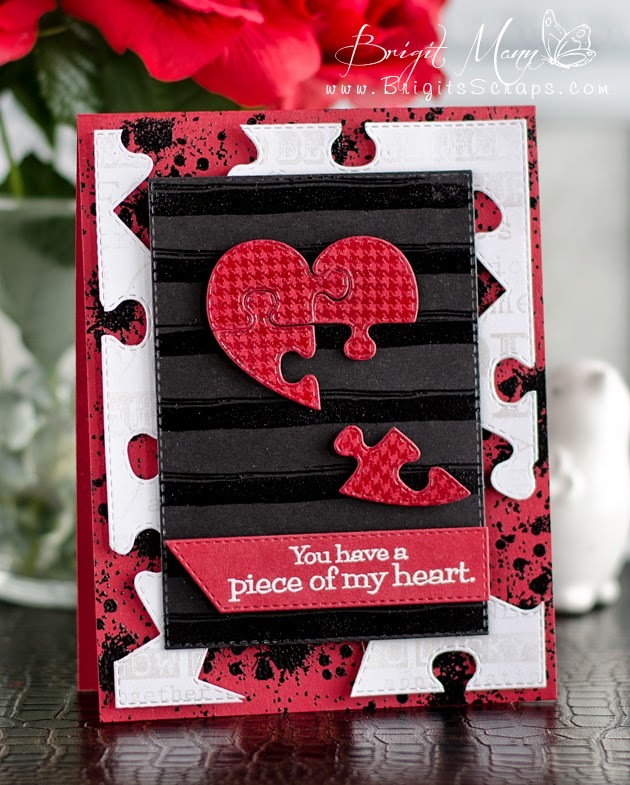 Wow, Emma am loving this super cute heart puzzle. 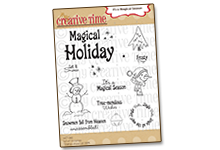 Thanks for all the new amazing and fun stamps and die cuts. Love the puzzle pieces. What fun cards you can make. Beautiful puzzle pieces Ms. Emma! Love your cards! 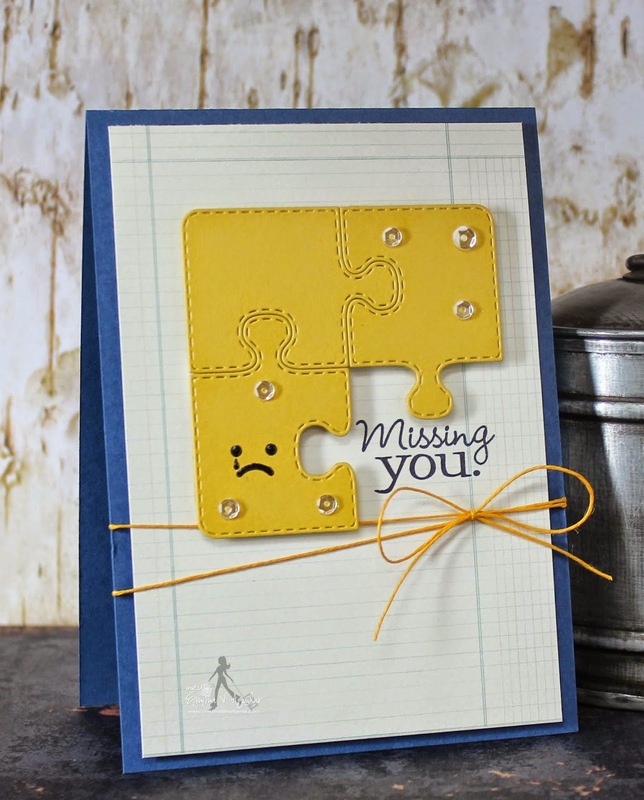 it is so ironic, I was just looking at puzzle die cut pieces....I just love them, especially yours because of the stitching. You be sure I will be getting them. The way you and your DT showcase them is spectacular! 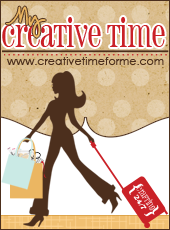 I just love, love, love your products and ideas. So grateful for you!!! Love to do jigsaw puzzles (as does my family) so this will be a great die to use for cards. Emma I love the new dies, thanks for sharing your beautiful card! LOVE!! 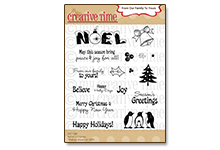 Those dies are adorable and I love the sentiments! Can't wait to see more! Great job yet again!! Oh Gosh! LOVE this set! So cute!! Wow, these are just too adorable, love all the inspiration from the dt, glad I recently started following some of them to see the creative awesomeness here. following on twitter as taraseamus and retweeted. More fabulous projects. Loving the puzzle pieces. Loving today's sneek peak inspirations! My favorite is that puzzle pieces card! Honestly, I was waiting for some puzzle die sets and now YOU have created them. Wow! Thank you. I would be thrilled if I'd be the lucky winner. These are awesome!!! Love them so much! 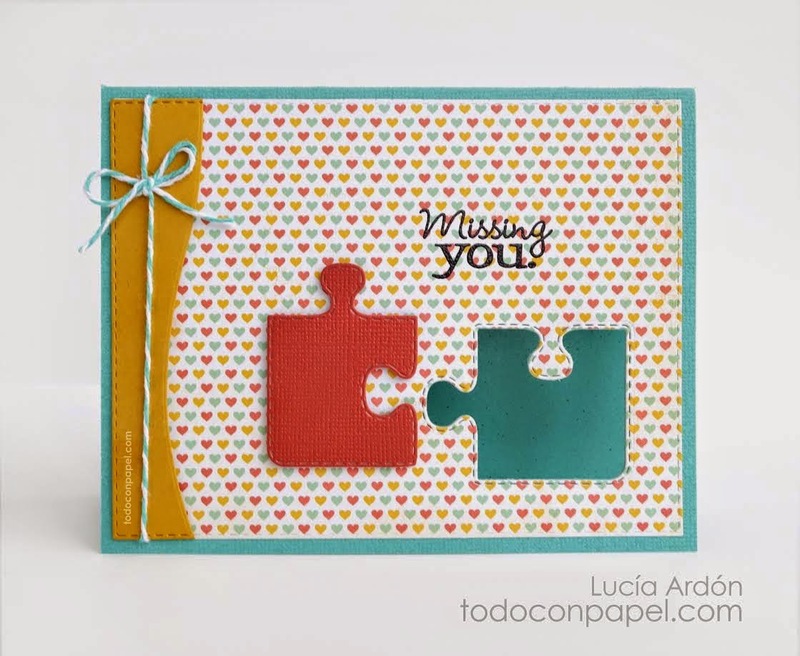 Absolutely adorable cards, love the stitched puzzle pieces die and the coordinating stamps! 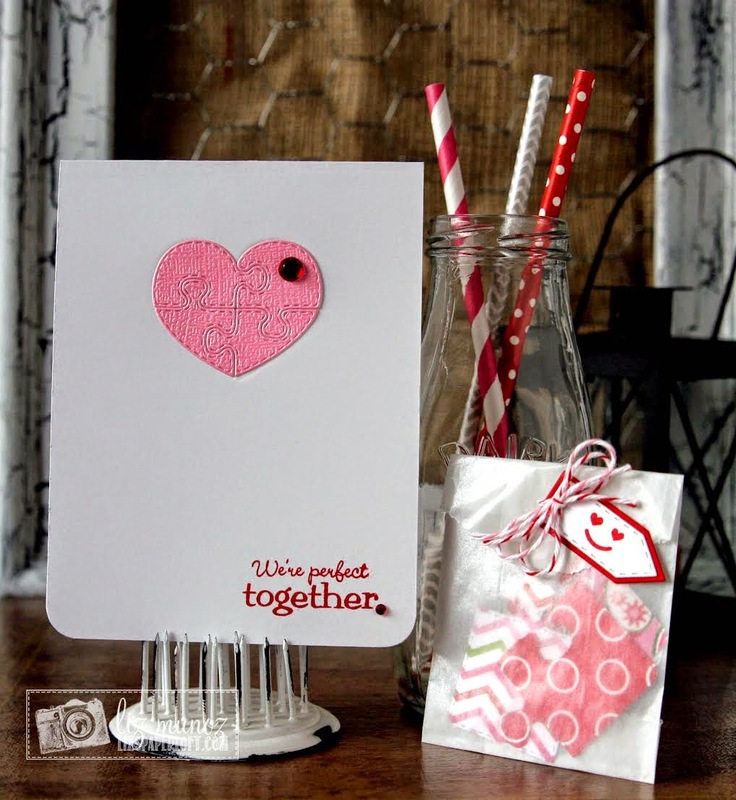 Love the bold colors you used on each of your cards, so awesome! Emma, I adore the elegance and simplicity of your card. Emma, those new dies are too cute!! I love your cards! Adorable!! Hugs!! What fun die's! 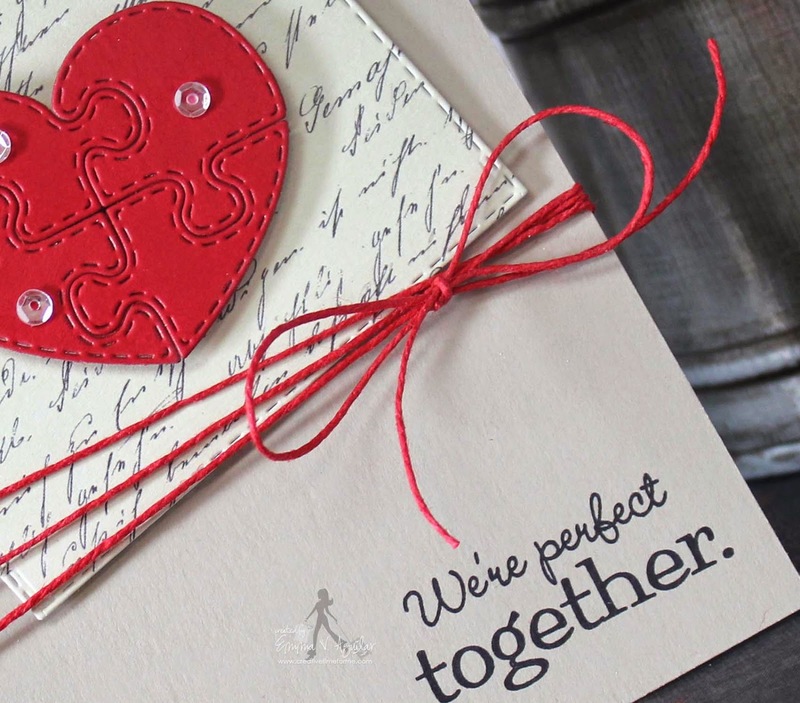 Adore the puzzle pieces and the sentiments are perfect! love love love love !!! Beautiful job on your cards...the puzzle dies are so cool. I love how fun and fast your cards are for today. 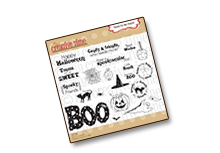 You and the wonderful design team did a super job using these cute new dies and stamps. These are going to be fun to use for sure. Great job everyone! 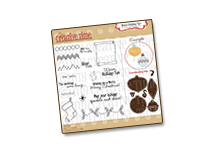 Awesome Sneak Peeks Emma & Your Design Team Has Done A Wonderful Job In Creating All These Fabulous Projects With These New Release Of Stamps & Dies!! 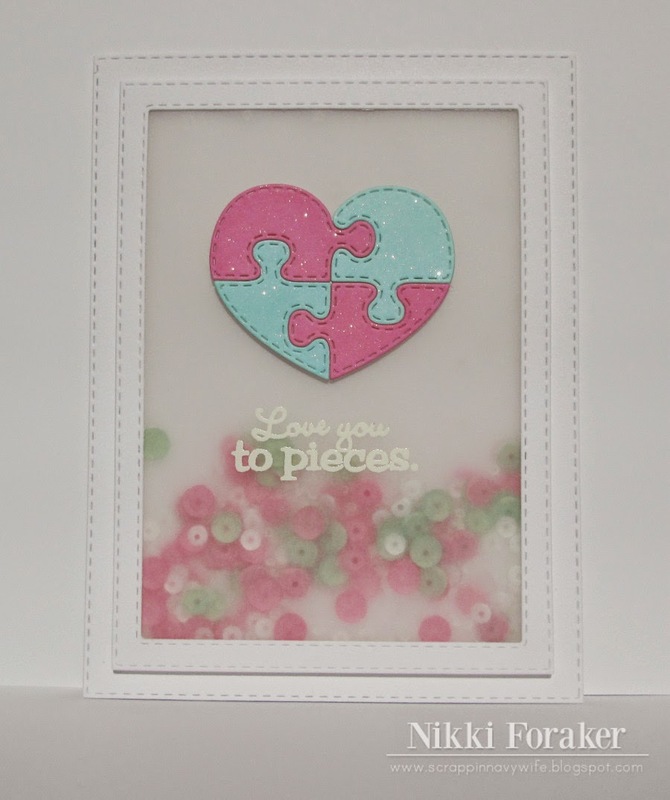 Love these fun puzzle piece dies...so many possibilities! 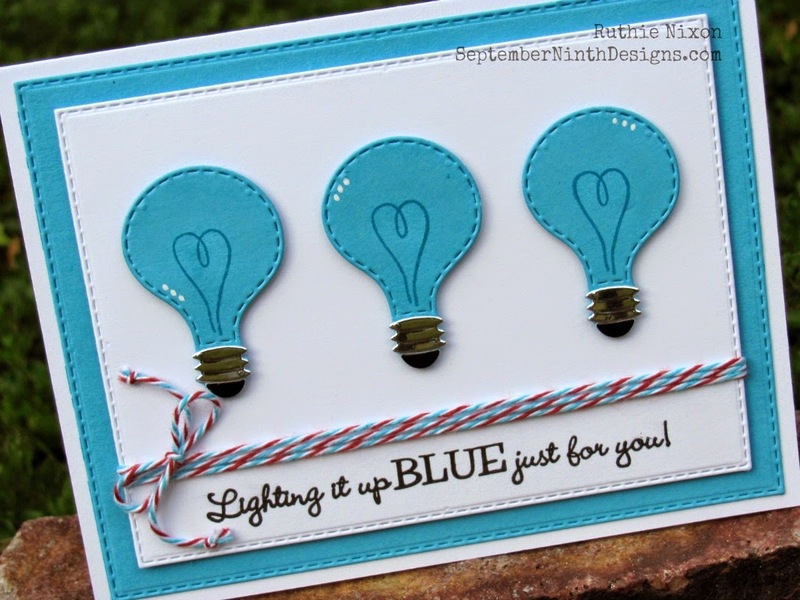 And that great blue bulbs card too... awesome! Amazing inspiration! Thanks for all the ideas. The puzzle dies are simply gorgeous! these puzzle pieces are the missing pieces in your store !